How do you get more nutrition in fifteen minutes than most people get all day? From the newest diet fad? Swallowing handfuls of vitamin pills? Probably not. To answer the question, we consider two things……. What foods and ingredients are going to give us the biggest bang for our nutritional buck? How do I consistently get those foods/nutrients in my diet? If you are an expert in nutrition and have tons of time to plan, shop, and prepare your meals, then stop reading now. You don’t need this article. You are very lucky! For the rest of us, consistently achieving both of these over the duration of our lives can be a real challenge. I didn’t realize just how much of a challenge until we released Complete Protein back in 2010. 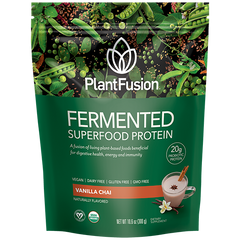 At the time, our customers were super-excited about our great tasting high-quality plant protein, but they still spent a tremendous amount of time carefully mixing it with various other supplements and food ingredients to create what they were calling a "complete meal." This included hours spent at the store shopping for the best ingredients. More time spent at home blending different combinations of ingredients together. Hundreds of dollars spent. And often the result was something that didn’t taste very good or still may not be delivering the desired health benefits. Bottom line - simple choices can make a huge difference in the quality of your diet. We’re here to help you with those choices. When someone says “complete meal”, we take that very seriously. A complete meal should have everything you need for optimal nutrition. Not just any old random combination of ingredients thrown together. Take a look at the majority of meal shakes on the market and you find that most of them are a basic protein powder with small amounts of greens or probiotics sprinkled in for window dressing. You can spot window dressing if you look at the numbers. Let’s say the average protein shake has a 30g serving size. Meanwhile the upgraded meal shake right next to it may have as many as 20 additional ingredients added, but the total serving size is only 35 grams. The math doesn’t work. How could all of those additional ingredients only add 5 more grams (15-20%) to the total serving size? Answer - they only added miniscule amounts of these additional ingredients. Buyer beware: don’t just look at number of ingredients. Look at ingredients in proportion to serving size. Equally important to serving size is the specific type of ingredients that are being selected. There are a multitude of choices when selecting ingredients. Pick any nutrient category; protein, greens, probiotics, essential fats………there are dozens (sometimes hundreds) of different sources or varieties to choose from within each category. Here are a few examples below. So What? Brown rice, soy, and hemp have been sold in healthfood stores for years. So there are still people around who recommend them. But soy is known to potentially interfere with hormonal balance (estrogen), brown rice is linked to higher levels of heavy metals, and hemp is an incomplete protein that doesn’t mix well in a shake. Bottom Line: Both shakes are technically “plant proteins” but the shake on the left is going to have a significant nutritional advantage that may not be evident into you actually look at what’s going into it. So What? Cereal grasses like wheat grass, alfalfa, and barley are great - if you are a cow. These plants can contain a lectin called wheat germ agglutinin (WGA) which can be difficult for humans to digest (remember cows have four stomachs!). That’s why we humans don’t get the natural urge to start chowing down on the lawn. Bottom Line: The shake on the left contains a specific type of greens from the cruciferous family like cabbage, cauliflower, kale, mustard greens, which contain a reservoir of nutrients essential for human health. Humans were built to eat veggies, not grasses. So What? Quality sources of omega oils are very expensive! That’s why this is often an area where brands will try to cut corners in order to cut cost. I looked at dozens of plant-based meal shakes online and most contained zero omega fats. The highest per serving dosage I could find was 500mg, which is far from sufficient. Bottom Line: Essential fats are absolutely critical for optimal human health. It’s right up there with vitamins and protein. In planning a diet, these critical nutrients would be near the top of your list. Don’t buy expensive shakes that call themselves “meals”, yet contain zero omegas. That’s crazy! Bottom Line: There are hundreds (many believe thousands) of nutrients in plants generally called “phytonutrients” that, together with vitamins, create the intricate chemical reactions necessary for good nutrition. More recent science indicates that isolating a vitamin without those other phytonutrients can limit the benefit of that vitamin in the body. The shake on the left that only uses plant-derived vitamins, not only provides the natural vitamin, but also the natural phytonutrients that surround it in nature. So What? Typical probiotic strains generally need to be mega-dosed (1 billion CFU or higher) because so many die off when forced to sit on the shelves for months and years. Bottom Line: Bacillus coagulans, MTCC 5856 which is trade named “Lactospore™”, is more shelf stable than traditional probiotics strains from Lactobacillus and Bifidobacterium. Lactospore™ is also hearty enough to survive the gut where it does all of it’s work. Just like life, your health is ultimately shaped by a million small but important choices that you make over a long period of time. You probably guessed that Shake #1 is our Complete Meal (formerly called Phood). When we set out to develop Complete Meal, we weren’t just creating a nutritional shake…….we approached it as if we were creating a complete nutritional program for a friend or family member. And in doing that we obsessed over each and every small detail. The end result is perhaps the most complex nutritional product we have ever seen (maybe the world has ever seen). If something is truly this powerful, you should be able to feel it. And it shouldn’t take a month or a year. My challenge to you………take Complete Meal for five days straight either first thing in the morning or as a mid-afternoon snack. We guarantee that you will FEEL a difference in your energy and ability to deal with daily stress. We’re so confident that we’ll give you the first two servings for free. So, are you ready to get more nutrition in 15 minutes than most people get all day? 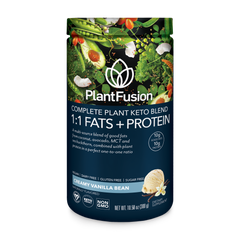 Try PlantFusion FREE today. Click here for our free sample kit with TWO samples plus a $5.00 coupon!